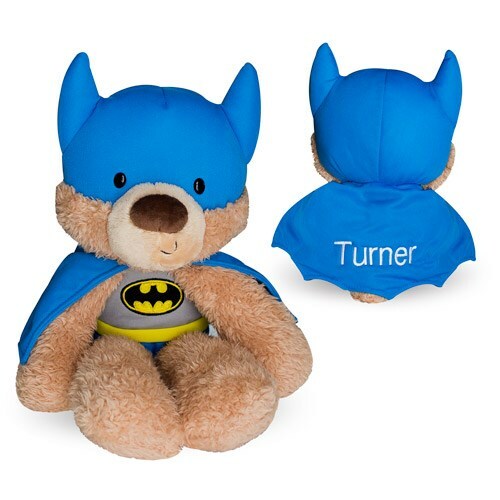 Surprise your little one with an adorable Embroidered Batman Plush Bear that is personalized just for them. This Superhero Bear will be embroidered with any name in white thread on the back of the cape. Personalized Super Hero Stuffed Animals makes great gifts for birthdays, get well or any other occasion. Buy your Batman Personalized Stuffed Teddy Bear today!